Work of the eighteenth century. Perfect condition. 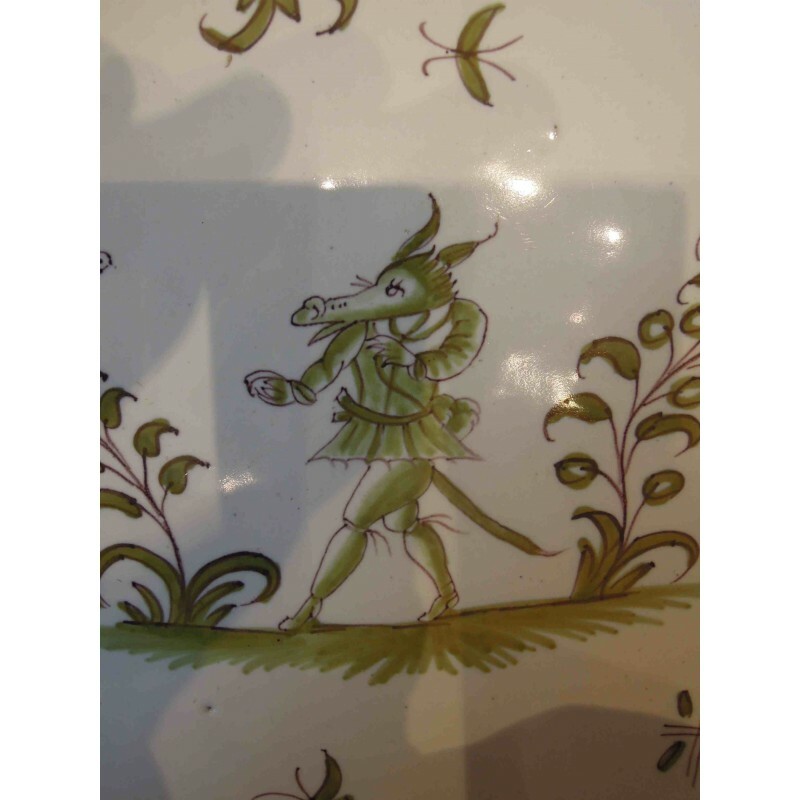 Beautiful Moustiers faience plate #2 (marked on the reverse). 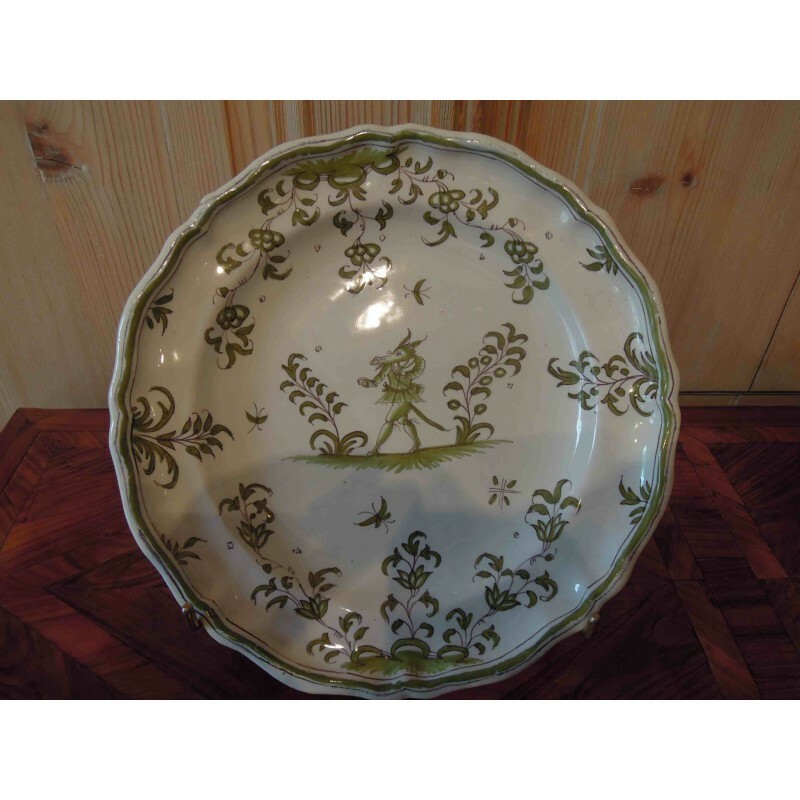 Decor grotesque character (precious) surrounded by flowers and stylized foliage, green edging trim. 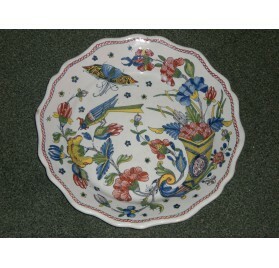 I sell another plate, also in Moustiers faience. 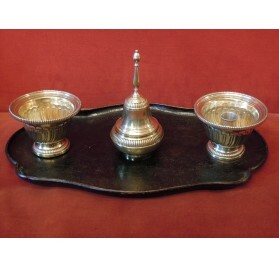 Nice inkwell (or inkstand) Regency period. 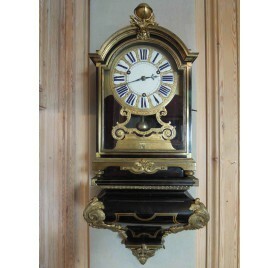 Superb wall clock ebony veneer, Louis XIV period.Bronze dial with enamel pieces. 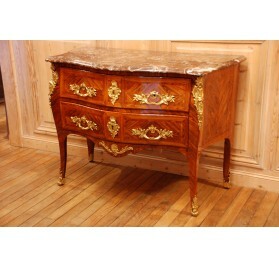 Beautiful decor with gilded bronze.It is signed and against-signed Gaudron Paris. Ringtone to quarters and hours. 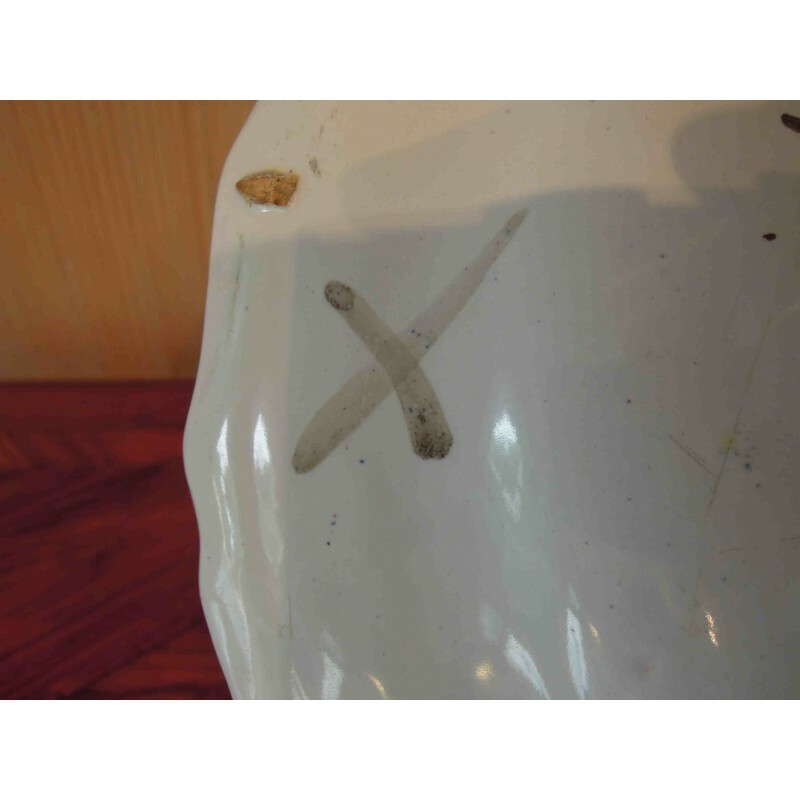 Former Norman Glass, enamelled with flowers, bird and monogrammed L.Work dating from the late eighteenth or early nineteenth. 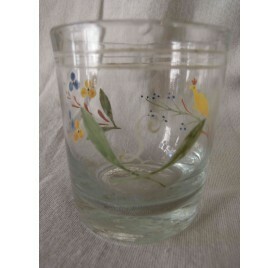 Norman flared glass, enamelled with flowers and bird.Work dating from the late 18th or early 19th century. 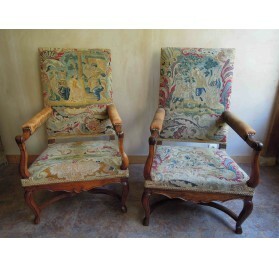 Pair of walnut armchairs with rectangular backrest and arm cuffs.Sitting rests on a trapezoidal arched legs, joined by a spacer X.Covered with tapestry.Work of french Regency period. 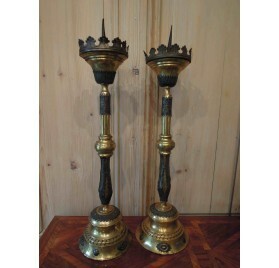 Pair of candles holder, gilded copper and silver-trimmed.Work of the 18th century, could be Italian.Some small accidents. 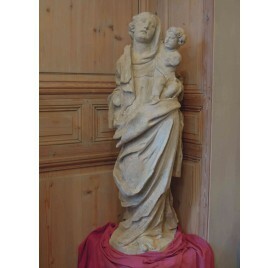 Virgin and child in stone.Nice movements of the clothes and light remains of polychrome.Working dating from late 17th or early 18th century. 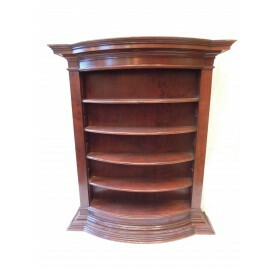 Breast high bookcase, french Regency, 18th c.
Breast high bookcase in violet wood marquetry.It opens with 2 glass doors with framing.Rounded jambs with flutings.Work dating from 18th century: Regency period. 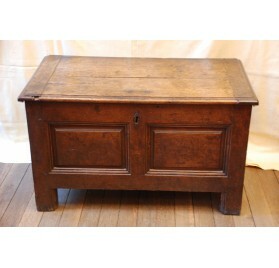 Small and ancient chest or coffer. 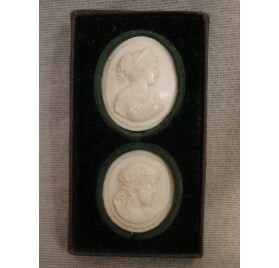 Jewelry box inside.18th century. Walnut table, Louis XVI era, 18th c.
Walnut table Louis XVI era.Mesh inlay decorations.18th Century. 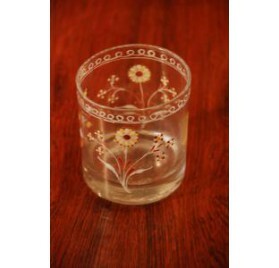 Norman water or cider glass, with decorations enamel.Late 18th or early 19th century. Rouen faience plate. 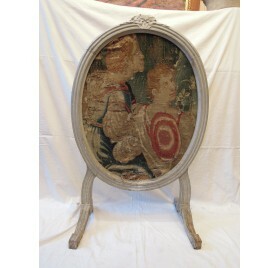 Cornucopia decor.In perfect condition.Work of the 18th century. 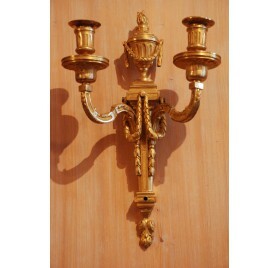 Pair of ormolu wall sconces, Louis XVI (18th c.).Two light arms. 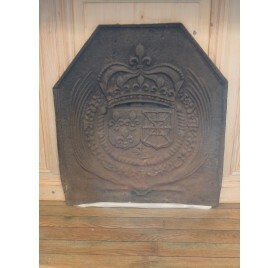 Cast iron fireplace plate with the coat of arms of France and Navarre, surmounted by a royal crown.Period XVII or XVIIIth century. 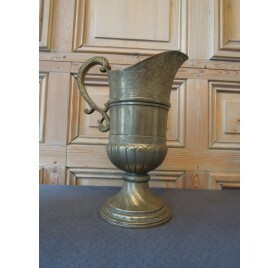 German ewer, silver plated.Work from 18th century. 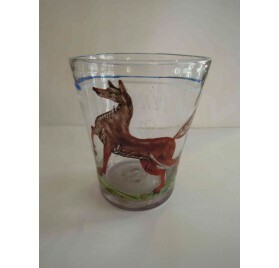 Enamel glass with deutsch quote.18th century. 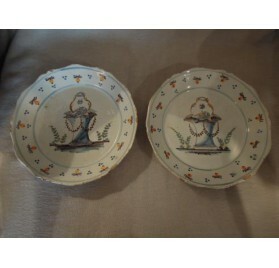 Pair of wedding plates, Auxerre 18th c.
Pair of wedding plates, Auxerre's earthenware.18th century work. 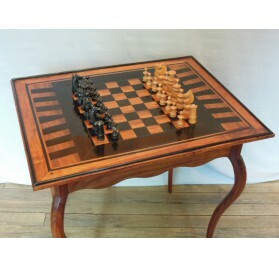 Game table in ebony and padouk.Chessboard top.Harbor working, 18th century. 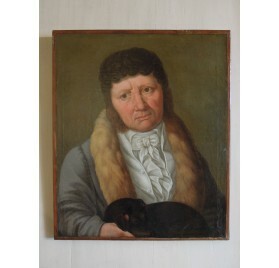 Portrait of a man who could be Jean-Jacques Rousseau, holding his dog.Oil on canvas, 18th century. 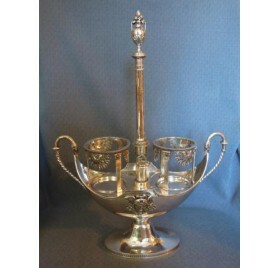 Silver cruet shaped nave. 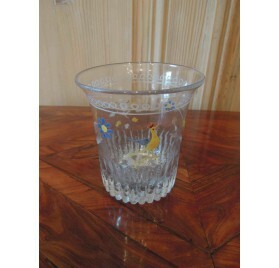 Twisted and decorated handles with swans head, pilasters receptacle. 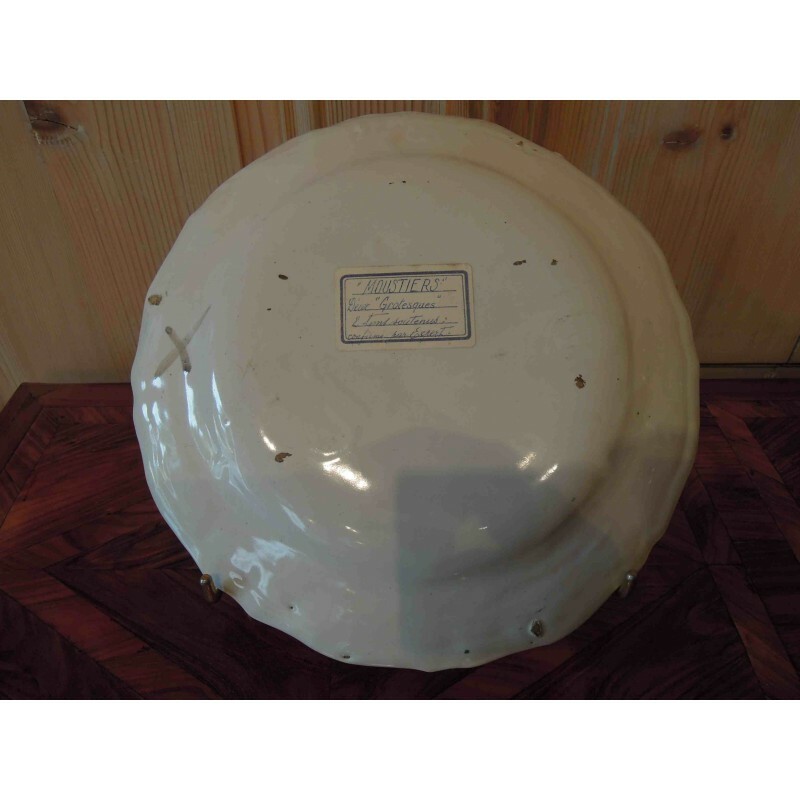 Decor of Mercury and swan heads.Monogram and marquis crown.Master silversmith punch and rooster punch with the different of the year V.Gross Weight: 45.5 kg. 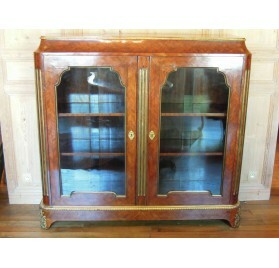 Shelves in speckled mahogany.Work from 18th century. 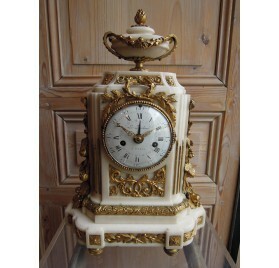 Clock with date, in marble and bronze.Dial signed Le Faucheur in Paris.Louis XVI. 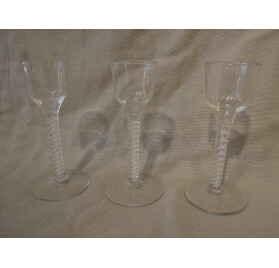 3 english air twist stem wine glasses.18th century. Oak Regency antique armchair.High backrest and needlepoint upholstery. 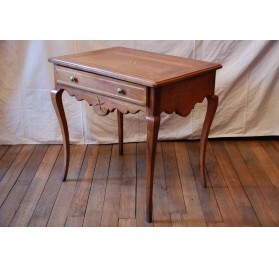 Cabaret table in solid mahogany.Work from Bordeaux, Louis XV period. 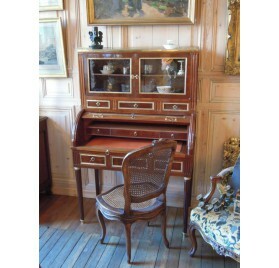 Mahogany and mahogany veneer cylinder desk, topped by a showcase.Beautiful golden bronze trim. White marble top over the showcase.Made during Louis XVI reign. 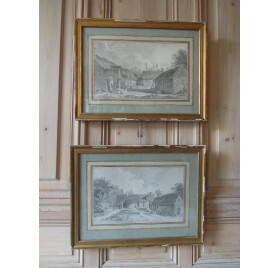 Perignon Alexis Nicolas (from 1726 to 1782).Two drawings each representing a farmhouse.Eighteenth century, very good condition.